A few weeks ago, a few of us from Santa Barbara were able to travel to Mexico to attend Opportunity Collaboration, a convening of non-profit executives, social entrepreneurs, grant-makers, impact investors, corporations, media advocates and academics all devoted to building sustainable solutions to poverty and injustice. Despite the relaxed beachside environment (panelists showed up to their sessions in water-logged bathing suits, and no one blinked an eye! ), conversations centered around serious topics such as corrupt governments, unjust laws, educational shortcomings, and power dynamics. There were multiple sessions to choose from. We could attend workshops on how to participate in the “funders dance” or how to tell if a deal is a good one. We could attend a conscious entrepreneur affinity group and build a support network that spans the globe. We could attend a capacity building clinic on media literacy or the elements of an effective digital strategy. On one night, there is a marketplace where entrepreneurs can show off and sell the works of their artisans. The next evening, there is an Open Mic Night where talented delegates can tell stories, dance and sing… one person performed a song from her “raptivism” work (rap activism). You might be getting a picture of how varied this un-conference conference is! With 450 delegates from all over the world who are involved in many different areas, Opportunity Collaboration rightly prides itself on the serendipitous connections that occur every day there. Perhaps more so than the scheduled sessions, this is the true value of OC. Delegates report that they have gained capital relationships, strategic advisors, mergers, suppliers and operating partners from their attendance at Opportunity Collaboration. Being at Opportunity Collaboration was an overwhelmingly inspiring experience. There is such a strong sense of community, being surrounded by individuals who have devoted their lives to exploring solutions to social issues and fighting for the marginalized. We cannot all be passionate about everything, but there is so much hope in knowing that while you are devoted to one issue, someone is handling another. BZZZ BZZZ BZZZ sounds the alarm. BZZZ BZZZ BZZZ, I reach my hand over the side of the bed and pick up the phone to hit snooze. My head lands on the pillow as I force my eyes open. I’m staring at the crack in the ceiling above my bed as I ruminate over what needs to get done. I can’t help but have a sense of dread as I think over my to do list. I let out a laugh. My friends had told me that “being your own boss will be great, you’ll love it!” It turns out, it’s not so glamorous. Now, rather than going into the office and catching up on the latest news, I sit at my lonely kitchen table drinking the same coffee I’ve had week after week. I often find myself trying not to have conversations with myself – or my cat. 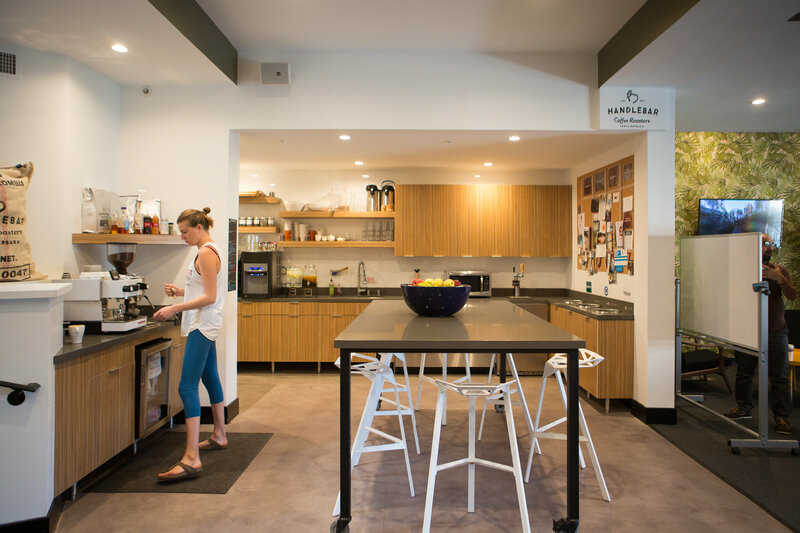 Before I found my local coworking space, Impact Hub Santa Barbara, this was my reality. Despite living in a beautiful city along the coast of California, it was surprising how quickly I came to dread working alone in my home. I needed to get out, and Impact Hub was my answer. After experiencing Impact Hub, I came to realize 5 reasons why everyone who works at home needs to get themselves into a coworking space. 1. I can have a social life again. I’ve got far more networking opportunities now than I ever had before. Being surrounded by fellow entrepreneurs, remote workers and freelancers makes me feel ‘normal’. It also pushes me to succeed. 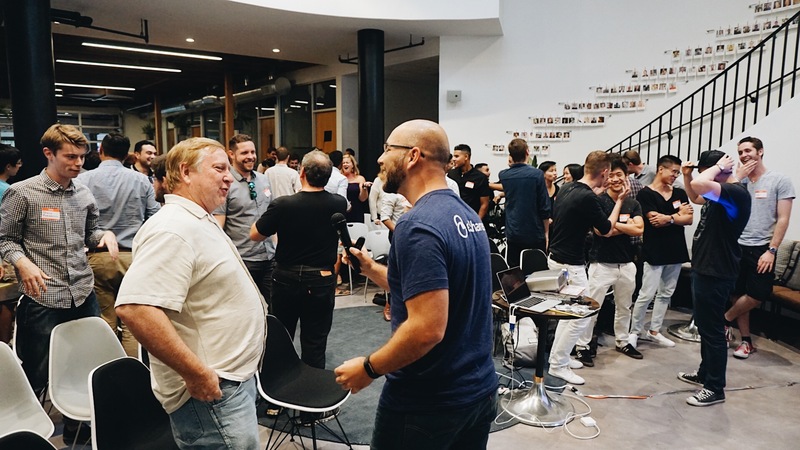 As Jim Rohn famously said, “You are the average of the five people you spend the most time with.” At a coworking space like Impact Hub, you can be sure your average will increase. 3. Amazing coffee and other tasty perks. It may seem trivial but if you’re a coffee drinker you should understand that good coffee makes all the difference. Working from home, I found myself getting sick of my normal drip coffee day after day. Yet, I also didn’t want to spend $5 to get a cappuccino from a local coffee roaster. Nowadays, I have no need for a coffee shop. I have access to Impact Hub. Along with good coffee, it is also nice to have access to tasty treats and other drink options. 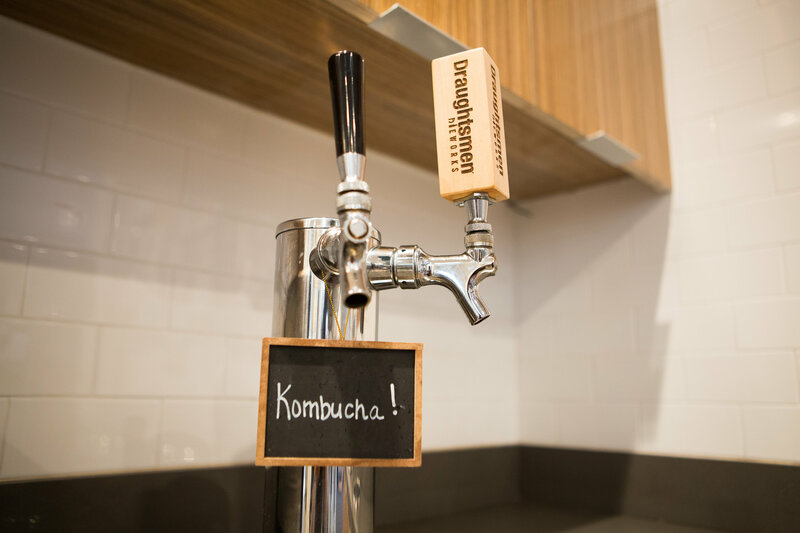 Conscious Kombucha and beer from Draughtsman Aleworks are both available on tap. High-grade organic tea from around the world is available from Far West Tea Traders. 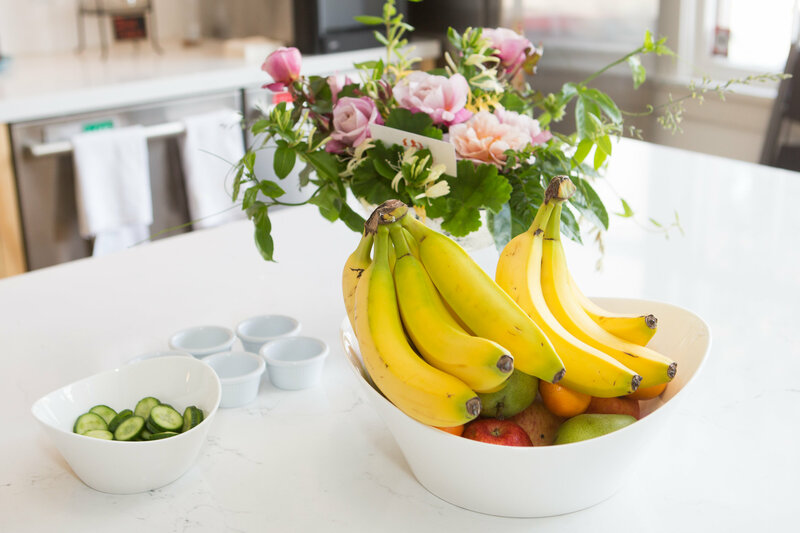 Organic fruit and gluten free pastries can often be found in the kitchen. If you’re like me, I get distracted by all the things I “should” be doing when I am home. Dirty dishes left in the sink or undone laundry can haunt me until it is taken care of. Having the temptation of Netflix a few clicks away can also make focus impossible. In the past I searched for coffee shops I could escape too. This was always a challenge since most spaces are loud and hard to focus in. I no longer have the challenge of finding a place I can focus. 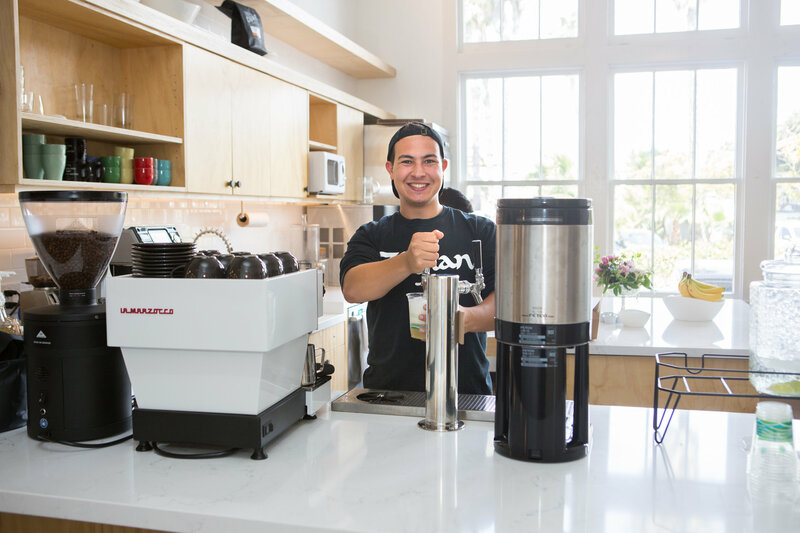 Now I have a place to go that is designed for people just like me – with good coffee and the community, I crave. 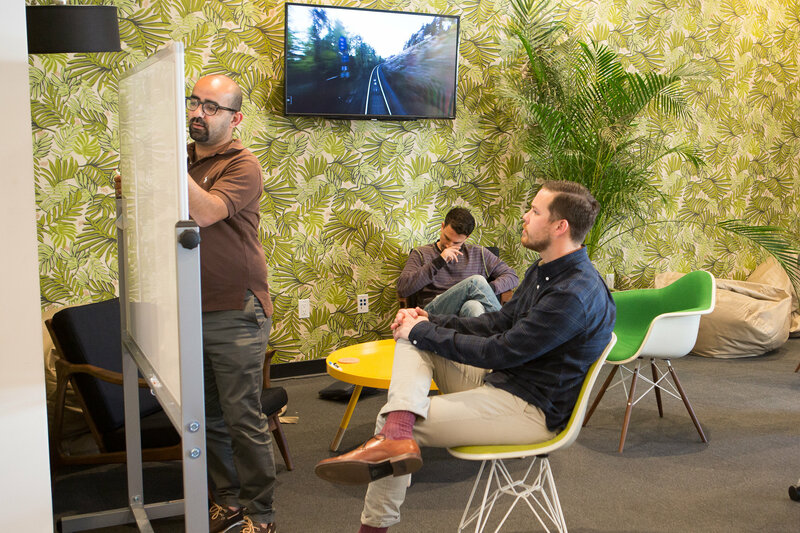 A coworking space has absolutely led to better productivity. 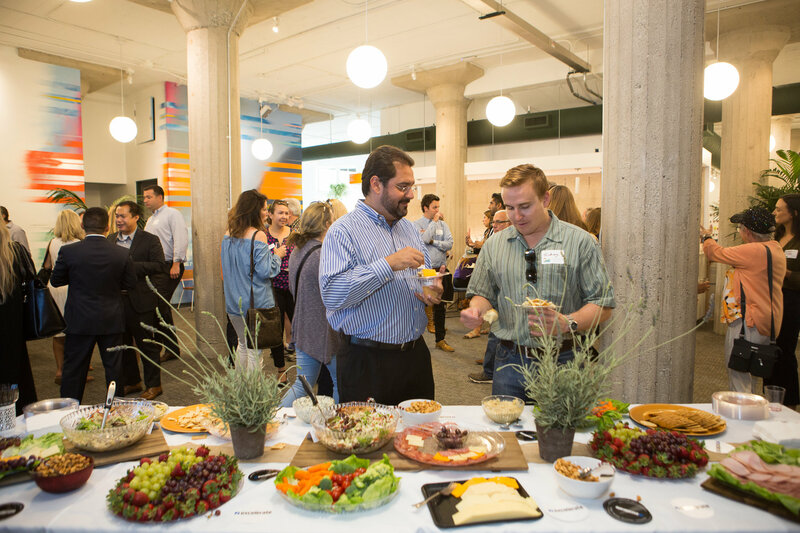 One of the best advantages of a coworking space are the amazing opportunities for growth. 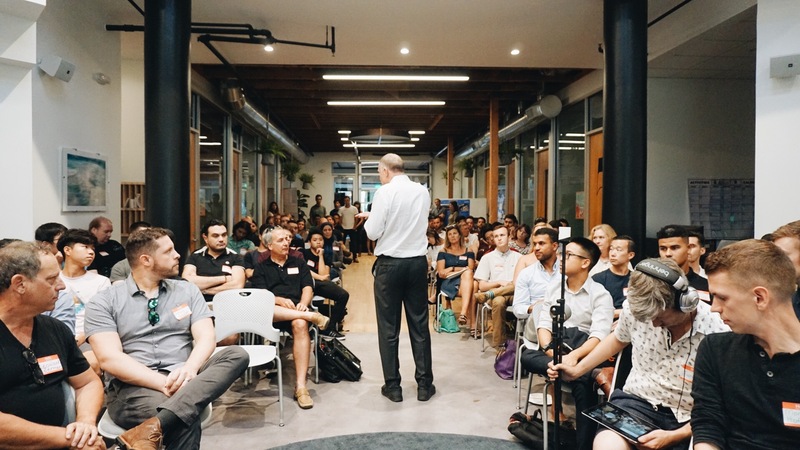 Often special events held in the space are great learning experiences for those of us running our own businesses.Workshops, mastermind groups, conferences, talks and other growth opportunities are constantly available.